Kristen Stewart has been watching her “Still Alice” co-star Julianne Moore sweep up a raft of awards for her performance as an Alzheimer’s sufferer, but she won’t be there to cheer her on at the Oscars. “I will be supporting from afar. I will be watching TV, trying not to scream when I know that Julianne wins. 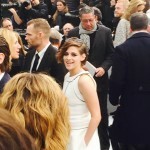 I’m sure she will,” Stewart said at the Chanel haute couture show in Paris on Tuesday. 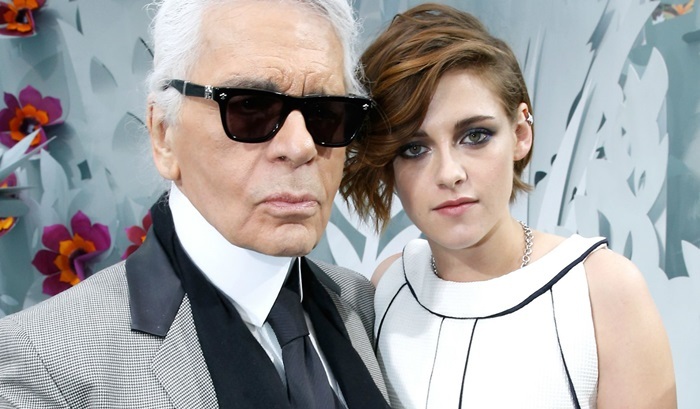 Last time she attended the show in July, Stewart had just chopped off her hair. Since then, the “Twilight” star has been channeling Coco Chanel by alternating red-carpet glam with items borrowed from men’s wear, with a fondness for black trouser suits. “I think it definitely shaped what I was gravitating towards. I always like to balance a more feminine look with something that makes me feel sort of stronger, and I think having shorter hair is very raw. I feel like there’s nothing to hide behind, and so I have been a little bit more apt to wear some more stark things, like a suit, and not have to worry about needing to put the heels on necessarily,” she explained. The actress confirmed that she is taking a break from work after a busy 2014. “I don’t have anything lined up yet. I’m definitely waiting for that thing to come along that I can jump back into work with a vengeance, and until I find that, I’m not going to do that,” she said. 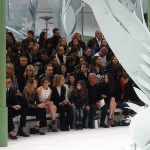 Chanel's Muse for the past few seasons, Kristen Stewart is always sure to be present at the maison's Fashion Show's. During the couture 2015 Summer show, which happened on the January 27th, it wasn't different: wearing a white dress with black details, she stole the attention in the front row of the show. 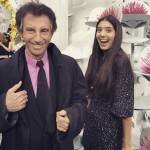 She spoke exclusively to our columnist, Bruno Astuto, about Karl Legerfeld's newest collection, a collection that was young and irreverent (with beanies that are sure to become a trend). "It's exactly what I'm used to wear every day, but way more perfectly made," she said. And what did she think of the cropped tops and low waist skirts? "I loved that the bellies are being shown. Why not? And it also has that street style that everyone's wearing nowadays." A journalist posted on Instagram a preview of her report (that requires a subscription), with a new quote of Kristen: ""It's so me, dude!" 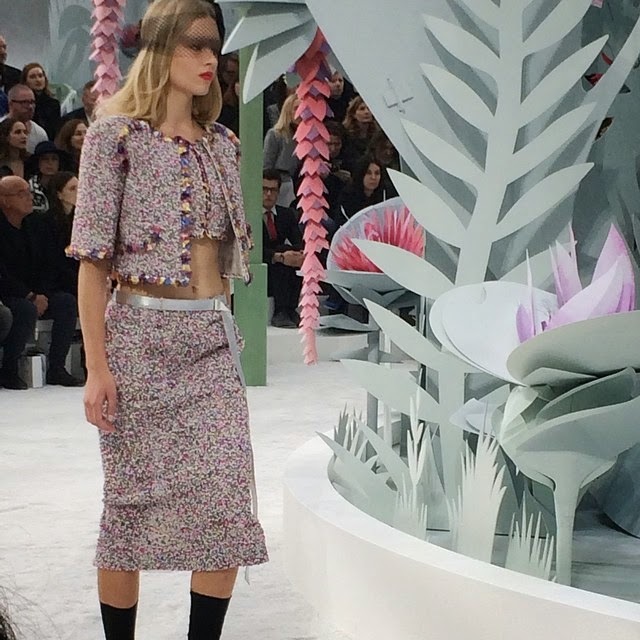 Kristen Stewart on the cropped tops at #chanel #couture read more in my report today"